John L. Abrams was ordained for the Diocese of Brooklyn in 1951. He was assigned to several parishes in Brookyn over his thirty-year career. According to the Official Catholic Directory, Abrams was ‘Absent on Sick Leave’ from 1989-1997, after which he was listed as retired in 1997. 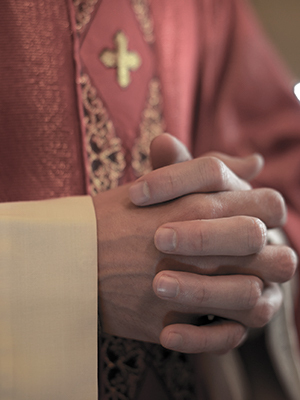 In 2002, several men came forward to the diocese with allegations that Abrams had sexually abused them when they were boys during the late 1970s-early 1980s, while Abrams was pastor of Sacred Heart. The diocesan review board determined in 2007 that the allegations were credible. Abrams was barred from public ministry in 2004, and the matter was to be referred to the Vatican’s Congregation for the Doctrine of the Faith. He died in 2008.